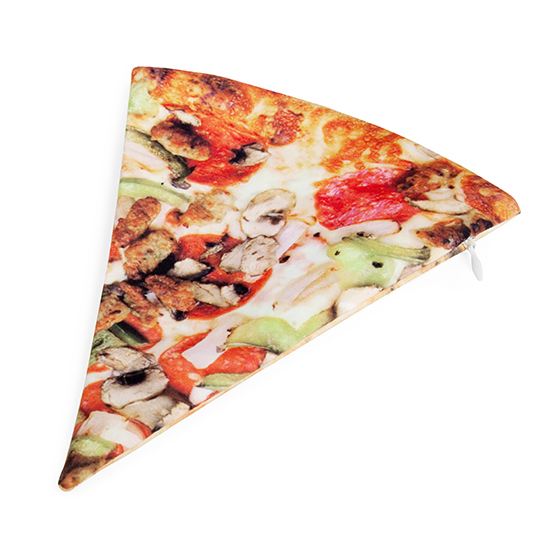 As FWx already established, pizza takes extremely well to being made in the shape of a heart. 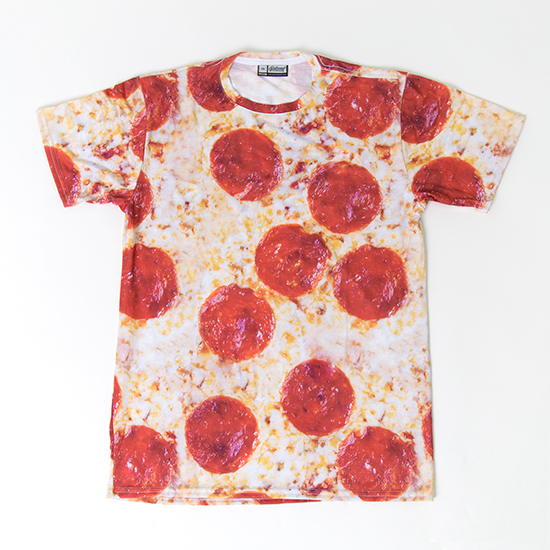 That's because pizza is love. Here are the best ways to share your sentiments with the world. An excellent conversation starter, $39. Put smaller items like your phone, keys and wallet in this pouch to make them easier to grab in your purse, $8.50. 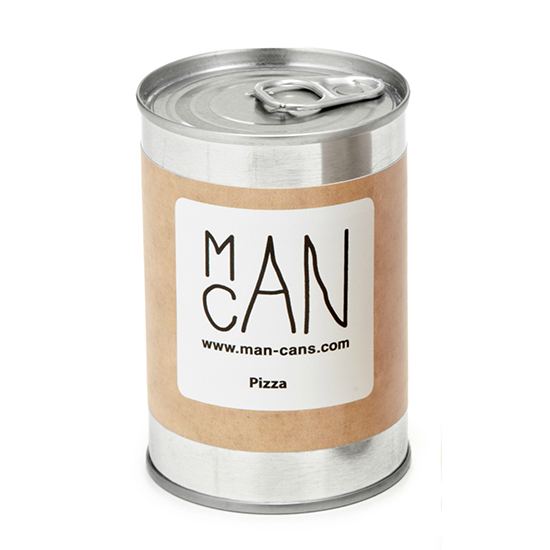 If you don't want to look at pizza, but you do want to constantly smell it, this candle gives you that authentic New York pizza scent, $15. 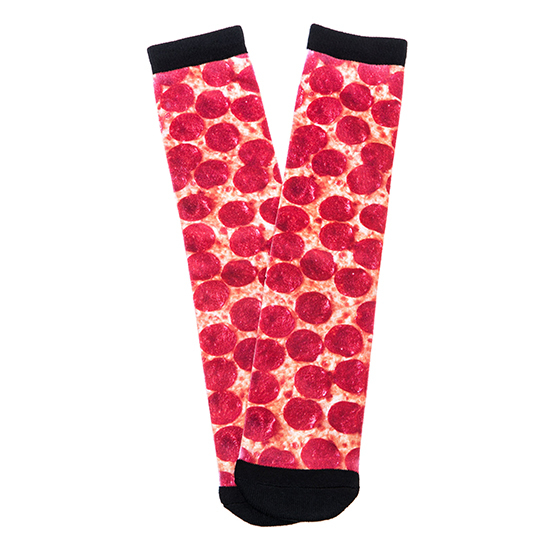 Add some flair to an otherwise neutral outfit with these spicy socks, $13.50. 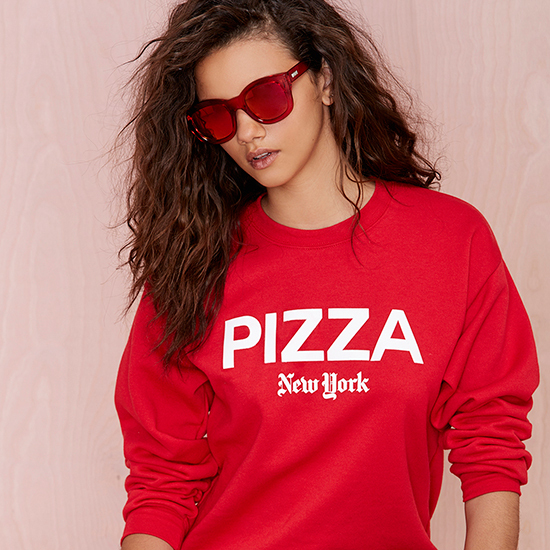 No one will doubt what your favorite food thanks to this Pizza NY Sweatshirt, $34. 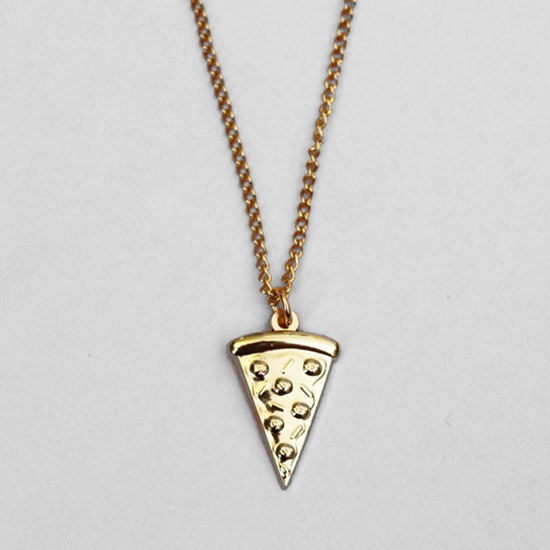 A gold-plated necklace is a subtle, yet effective way to demonstrate your love, approximately $25. 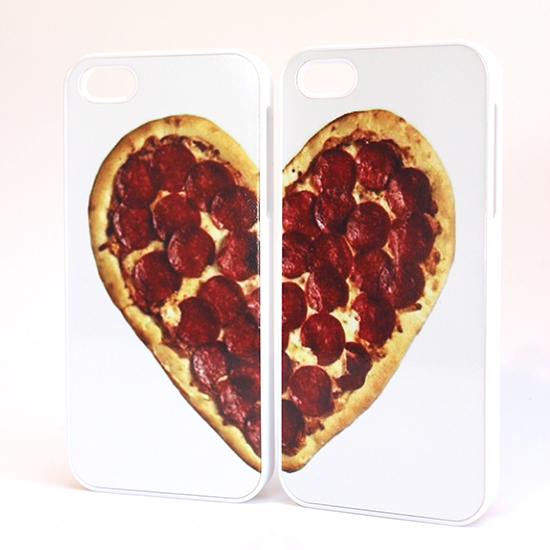 These Pizza Heart Best Friend Phone Cases com in a set of two–like elementary-school BFF heart necklaces, but much cooler, $30. 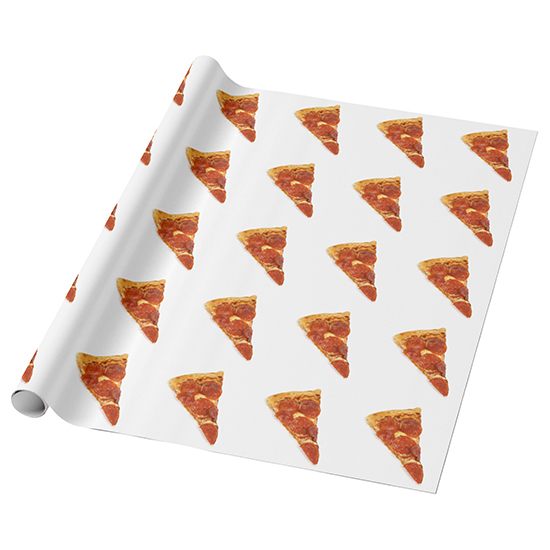 Instantly make gift wrapping more appetizing, $21.95. 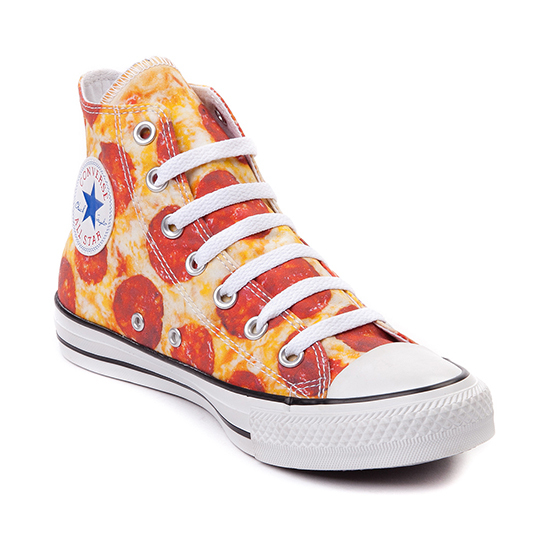 Iconic hi tops get upgraded with pizza print, $39.99.